This recipe is easily adjusted to your tastes. Use your favorite kind of potato, peeled or leave the skin on. Use hard boiled eggs or onions, or celery if you like. I have chives growing right outside my door in my herb garden. If you don’t, leave them out if you want. Here’s how I make my potato salad. In a large bowl, combine the mayo, milk, sweet relish, and parmesan cheese. And any other vegetables you would like, such as onions or celery. Gently stir in cooked potatoes. Sprinkle paprika over the top. Sprinkle diced chives over the top if you like them. Some like to stir in or top their potato salad with hard boiled eggs. If you do, add those. I don’t normally add salt and pepper. The cheese adds just enough saltiness. You may like to add more. Taste before garnishing the top, and adjust according to your taste. In a large bowl, combine the mayo, milk, sweet relish, and parmesan cheese. And any other vegetables you would like, such as onions or celery. Gently stir in cooked potatoes. Sprinkle diced chives over the top if you like them. I don't normally add salt and pepper. The cheese adds just enough saltiness. Our family loves homemade potato salad, too. I would’ve never thought of putting parmesan cheese in – sounds yummy! I will have to try that. The “secret” ingredient that my family loves in our potato salad is lots of Claussen dill pickles. Now you’ve got me wanting some potato salad! I love potato salad. My mom makes the best. 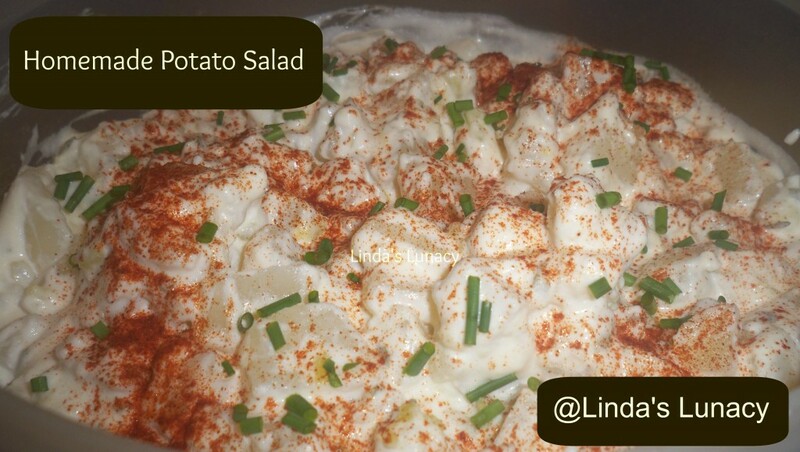 I would love to try out this potato salad. Thank you for sharing this recipe.